Here's a sneak peek at the Wealth Projector print ads we're going to be running in newspapers soon. Exciting! Wealth Projector is a fast, fun way to understand your current wealth position and see what your future looks like. Drag icons into the circle to refect your family situation. The more icons you drag, the more pages appear in your personalised Wealth Report. Preview your report as you go to see how it’s shaping up. 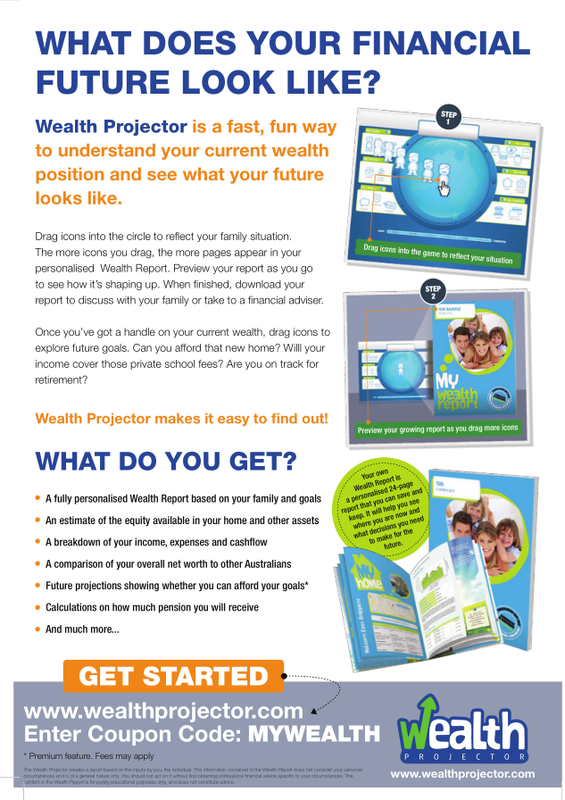 When finished, download your report to discuss with your family or take to a financial adviser. Once you’ve got a handle on your current wealth, drag icons to explore future goals. Can you afford that new home? Willl your income cover those private school fees? Are you on track for retirement? 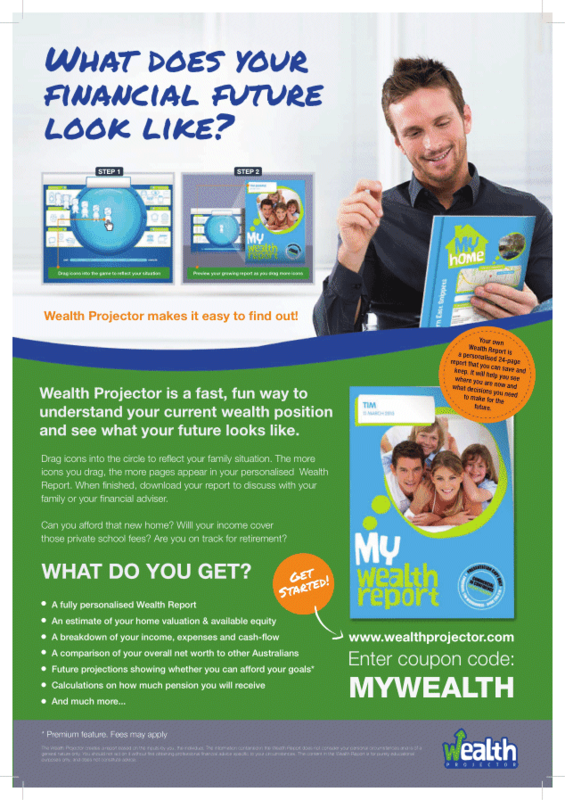 Wealth Projector makes it easy to find out!